Everything you need to know about planning a trip to Australia. 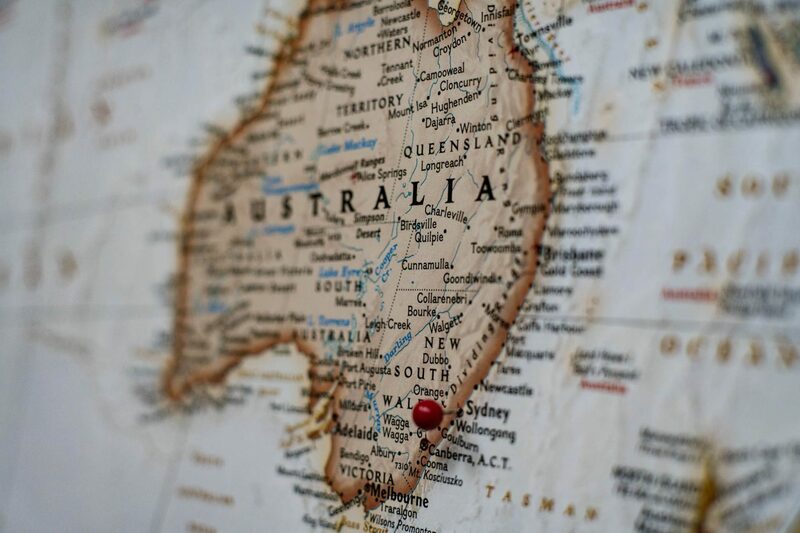 Australia is one of those countries that is often considered a dream destination, a trip for the bucket list that may or may not happen one far off day. With its diverse landscapes from cities, deserts and rainforests and natural wonders such as Uluru and the Great Barrier Reef, Australia has something for everyone. However, deciding to visit is the easy bit. For most of us, a trip to Australia is a big deal. It’s far away (at least a day for a lot of us) and requires a little more planning than the annual two-week holiday or weekend city break. Don’t let that put you off though. With a little bit of planning, you can easily make a trip to Australia the holiday of a lifetime. Australia is a year-round destination so there isn’t really a best time to visit. It depends on your own preferences and what you are hoping to do and see out there. That said, most of us visiting from the northern hemisphere are probably wanting to catch some of that famous Australian summer. So, remember being the other end of the world to us means the seasons are flipped. An Australian summer is our winter and vice versa. It is hard to believe I know, but some parts of Australia do have a winter. Between June and August it can be grey and chilly. Not actually as bad as it sounds, the only time I’ve seen Bondi Beach practically empty was a winter’s day so visiting in the off season has its advantages. It’s important to bear in mind that in such a huge country there is a difference in climate from one side to the other. While a lot of Australia enjoys four seasons the tropical top end (think Darwin, Katherine etc) has wet and dry seasons. Wet Season – November to April. Hot and humid with some humdinger storms, the wet season can be uncomfortable at times (a few days in Darwin was enough for me, I was outta there on the first flight available). However it makes for an incredible landscape with some spectacular waterfalls in the national parks as the water levels are at their highest. Dry Season – May to October. The dry season has warm sunny days with clear blue skies and cool nights making it more comfortable to see the sights and enjoy the national parks. Whenever you decide to go just bear in mind things don’t always go to plan with the weather. So don’t plan your trip around it. Out of the two Christmases I’ve spent in Australia, the first was grey and chilly (obviously still spent the day on Bondi, spot the Brit!) and the second was Melbourne’s coldest Christmas on record. I’m hoping for third time lucky. Australia is a huge country. Forget about seeing it all in one trip. It’s impossible. I’ve been back five times since my backpacking trip and am still finding places I want to visit or return too. Be realistic with the time you have. There is no point rushing around trying to cram everything in and spending most of your time travelling or too tired to enjoy it. It can also take over a day to get there and you’ll lose anything from eight to twelve hours with the time difference, so you need to factor that in for your first few days. Also don’t forget the jet lag too. While it’s tempting to hit the ground running, build in some time to acclimatise. Your body will thank yourself when you wake up at 3am the first day you are there. Prioritise three or four things you wish to see or places you want to visit and plan around that. Do you want to see Australia’s natural wonders? Experience the famous outdoor lifestyle or visit its iconic cities? Make a list of the things that matter the most to you and use that as your starting point. You’ll want a minimum of two weeks. Three or four would be better if possible. That’s not to say you can’t see Australia in two weeks. You can get a good introduction, but you’ll need prioritise and plan carefully to make the most of it. I’ve done a two-week trip in the past and managed to see three places and not feel rushed, but it was my third trip. I think if it had been my first, I would have been very disappointed to have rushed around so much and left so soon. Where to visit in Australia? Unless you have your heart set on a city, landmark or place this is probably going to be the most difficult bit about planning your trip. There is so much to see in Australia. The more you research the more places you’ll find to visit, I guarantee! For my first trip, I had the luxury of time as I was backpacking so could take my time and see most of the places I wanted too and spend a reasonable amount of time in each. It makes a huge difference to how you plan a trip. However, most visitors only have a couple of weeks. To get the most out of your trip it pays to do a bit of research and think carefully about what you want to see and do. What are your interests? Cities, beaches or landscapes? What type of holiday do you want? Relaxing or adventurous? These routes give you a good mix of cities and natural landmarks. If you have a bit more time to play with a few more options become available. A west coast road trip taking in Perth, Geraldton, the Coral Coast and the Ningaloo Reef. With so many fabulous places to visit in Australia it’s pretty hard to narrow down what to see. However, for your first trip to the land down under these should be top of your list. When you think of Australia, the Sydney Opera House and Harbour Bridge are probably one of the first images that springs to mind. So, Sydney must be on the list for a first-time visit. A mix of city and beach living it won’t take you long to see why this is one of the world’s most popular cities. One of the great natural wonders of the world, it’s hard to describe just how magical a trip to Uluru is. Walk around the base to really get a sense of how huge it is. The largest living thing on earth, it can even be seen from space. Dive, snorkel, take a trip on a glass bottom boat or fly over the reef on a helicopter. Whatever your budget (and whether you swim or not) there will be an option to explore the Great Barrier Reef for you. One of the world’s most scenic drives. Beginning just 90 minutes out of Melbourne the 249 mile route takes you along coast of Victoria right up to the border with South Australia. Look out for the famous Bell Beach, the Twelve Apostles, London Bridge and many bays, beaches, waterfalls and spectacular views. It’s never been easier to get to Australia. It still takes ages though. For most of us it’s around a day travelling, well unless you are visiting from New Zealand! 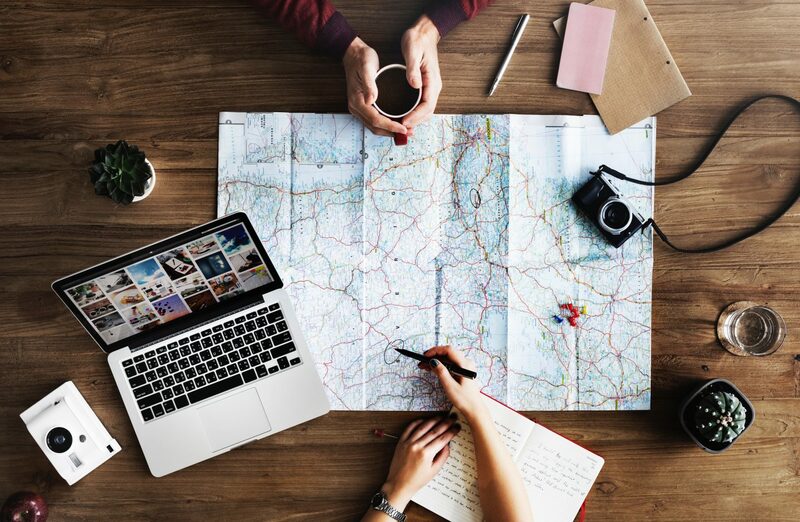 Planning your flights carefully will not only ensure you get a good deal price wise it will also help you maximise your time on the ground in Australia. If you know when you want to go, then start looking as soon as possible. There can be a big variation in price and various times of the year (such as Christmas and school holidays) can be very popular. You don’t want to miss out by leaving it too late or having to pay more than you need to. If you are going for an Aussie Christmas keep in mind flight prices can rise dramatically over the holiday period. If you book early enough and go either side the of the peak season (early December to early/mid-January) you should be able to get a good deal but you’ll definitely need to plan ahead. If you are a little more flexible on when you can travel look out for airline sales. You can pick up some great bargains if you are not restricted by particular travel dates. As you will be spending a long time on this flight, you’ll want to choose your airline carefully. Don’t just go for the cheapest ticket. Look at the route they take, where they stopover, what their service and inflight entertainment is like. It’s most likely you’ll be spending more than 24 hours with them so you’ll want to like them. If the thought of 24 hours in economy doesn’t appeal, it’s worth considering upgrading your seat. Most airlines offer upgrades for seats with extra leg room or look at what premium or business options there are. It will bump the cost of your flight up but it can be a worthwhile expense. To stop over or not to stop over? While nonstop flights are here (well to Perth) it more than likely you will have the option to stopover somewhere. If you have the time to spare it is nice to break the long flight up and you have the bonus of being able to visit another country/city. Popular choices include Dubai, Singapore and Kuala Lumpur. Or going west, Los Angeles or San Francisco. While I’ve done both options (direct and stopping over), these days I prefer to power all the way through to Australia so I have has much time there as possible. Going straight there still involves a short stop over, usually a couple of hours, just enough time to stretch your legs and get some food. You’ll then either get back on the same plane or have to go find your gate for the next plane. As I’m usually travelling on limited time, I like to squeeze every last drop out the time I have available. To maximise the time on the ground in Australia I usually take a flight leaving London in the evening straight after work. You get on the flight, have some dinner, watch a film then wake up in Australia. Well it’s not quite like that but hopefully you get what I mean. Leaving on a Friday night after work gets you into Sydney on Sunday morning ready to hit the ground running for the week ahead. While Australia is vast it’s pretty easy to get around. And not as expensive as you might think. Whatever your style of travel you have plenty of options. If you are on limited time flying is your best option. Australia has an extensive domestic air network. Between some major cities (Melbourne and Sydney for example) flights are as frequent as every half hour. Early morning or late evening flights are usually the best value price wise. They also have the advantage of giving you the day free to explore. If you are flying from the northern hemisphere you can often buy multi cities flights sometimes at no extra cost (or only a little extra) than a straight return ticket. These can include stopovers on the way to Australia, flying to cities in Australia and flying home from a different city. There are almost endless combinations. Always research your options and price this up against booking internal flights directly with the domestic carriers though. I’ve often found it is cheaper to book a straight return to Australia and buy internal flights separately. If you are not too pushed for time there is an extensive and reliable bus network around Australia. Greyhound – Australia’s largest coach network covers the east coast, through the centre and the top end. It operates 365 days a year. When I backpacked I had a pass and could basically hop on hop off the network as I wished. It was completely flexible which was great as plans change often when backpacking. If I bused around Australia again, I’d definitely take up this option. Integrity – covering the west coast from Perth to Broome and everywhere in between. They offer express passes or a hop on hop off option. If you are looking for some a little more tailored, then there are plenty backpacking bus options. Offering flexible travel, they’ll take you to all the main places on the backpacking trail in Australia. They are also a great way to meet fellow travellers. Australia has some of the world’s greatest train journeys so if you have the time it is worth considering letting the train take the strain. It’s not a cheap option but it is unique way to see Australia. 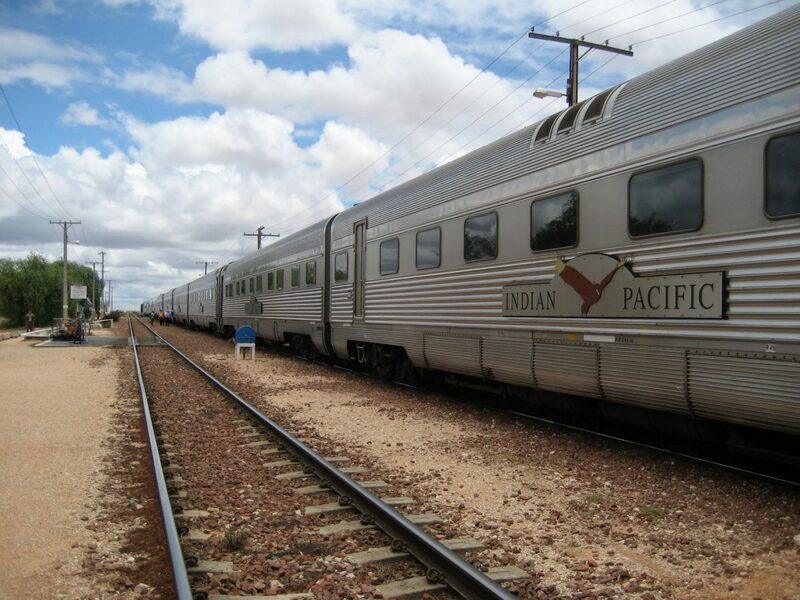 I travelled Perth to Adelaide on The Indian Pacific as I wanted to cross the Nullabor and it is still one of the best things I’ve done on any of my trips. Two days and three nights on a train crossing the Nullabor really brings home how remote and vast Australia is. The full journey to Sydney is 4352km and takes four days and three nights. I was on a backpacker budget so had a reclining seat for the journey (fun at the time but I wouldn’t recommend it now!). Various cabins are now available at different price levels so you can travel in as much comfort as your budget allows. Australia has accommodation to suit all budgets. From hostels for backpackers and the budget conscious to luxury five-star hotels for that holiday of a lifetime. If camping is your thing or you want to spend a few nights under the stars then you won’t find a better place than Australia. There are many campgrounds including some with spectualar views or near one of many of Australia’s natural wonders. Packing for a long haul holiday needn’t be difficult. If there is one thing my backpacking days taught me is that we actually need very little when travelling or on holiday. Even if that holiday is the furthest you’ve travelled or longest you’ve been away. As you’ll most likely be moving around while in Australia you want to to pack in way that makes this as easy as possible. Write a list of what you want to take with you and half it. And maybe half it again. View my<="" a=""> Australian packing list for some long haul holiday packing tips. Lots of my travels are based around concerts or sporting events. For me it’s the best of both worlds visiting a new place but with the bonus of seeing a favourite sport or band. Australia has no shortage of world-class events to attend. Australian’s love their sport. Even if they make up their own rules sometimes. Aussie rules football? What’s that all about? That aside there are some great sporting event to attend throughout the year. January – Australia Open (Melbourne). Look out for ground passes to get all the atmosphere without paying top dollar. March Formula One (Melbourne). Ground passes offer good value if you don’t want to splash out for a grandstand. December – Sydney to Hobart Yacht Race, Cricket (Winter test series at venues around Australia). 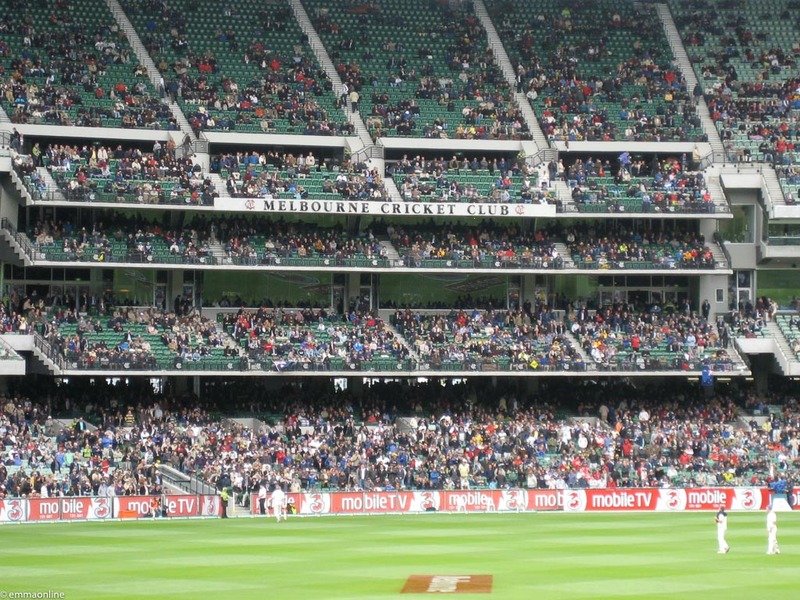 Don’t miss the Boxing Day Test, it’s an Aussie tradition. If sport isn’t your thing Melbourne has a thriving theatre and art scene and all the major cities have music venues of every size. Check out local listings or ticket agencies for the latest shows. January – March (various) A Day on the Green. A series of outdoor concerts featuing some of the world’s biggest artists. October – Sculpture by the Sea, Sydney. A free public art exhibition. Sculptures are placed along the path between Bondi and Tamarama Beach. All non Australian citizens need a valid Australian visa to enter Australia. A range of tourist visas are available however you need to apply for these before you leave for your trip. Before leaving for your trip make it’s worth checking your travel insurance (or buying some if you don’t already have some!) covers you adequately. As well as ensuring you are covered for the countries you are visiting make sure you are covered for any optional activities you may take part in on your travels. 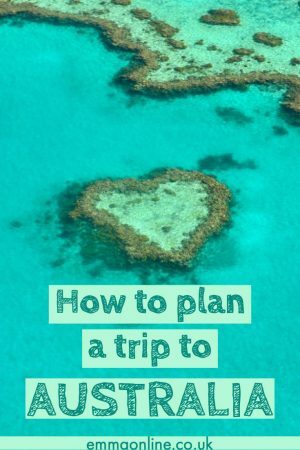 I hope that gives you some tips to start planning your trip to Australia. If you decide to visit this amazing country let me know in the comments below. This entry was posted in Australia, Travel Tips. Bookmark the permalink.